Give me the Grenache! 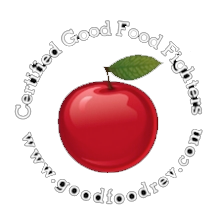 - Good Food RevolutionGood Food Revolution | Wine is food. Malcolm Jolley has a revelatory moment over a glass of Boulevard Napoleon Grenache Noir. Vigneron Trevor Gulliver of Le Midi with his negociant Canadien, Charles Baker. I was into my second glass of the 2013 Boulevard Napoleon Grenache Noir ($31.95 – Cru Wine Merchants) when it hit me like a mule on the towpath of the Canale du Midi: Grenache is the great unsung grape, and the wines made from it are, on balance, great value and underappreciated. Why is there no cult of Grenache, like there is for Pinot Noir or Left Bank Claret? Perhaps because it’s a famously prolific grape that can reward its growers with abundant quantity with little regard for quality. And yet, when it’s grown properly, and the vines have matured past 10, or to be safe 20 years, it makes such a beautiful wine that is both pretty and elegant but also powerful and bold. They’ve known this in Châteauneuf-du-Pape for some time, but Grenache Noir grown all around Mediterranean France is, I think really coming into its own as 20 or more years of the great wine revolution that’s pivoted production from bulk to estate ha taken hold. There is good Grenache juice out there, and intrepid winos ought to take advantage before the herd catches up. The occasion for my revelation was an invitation to catch-up with my friend and vigneron, Trevor Gulliver. Long time GFR readers know Trevor is half of the duo responsible for the St. John restaurants in London. 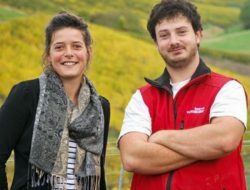 But when he’s not managing these restaurants, Trevor may be found in the Pays Hérault in the Languedoc, where he collaborates with the celebrated winemaker Benjamin Darnault to make wines for their label Boulevard Napoléon. 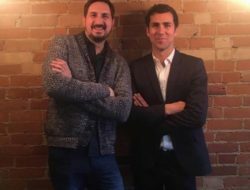 The invitation came from Trevor’s Canadian agency, Cru Wine Merchants, which is managed by another friend and a vigneron in his own renown right, Charles Baker. 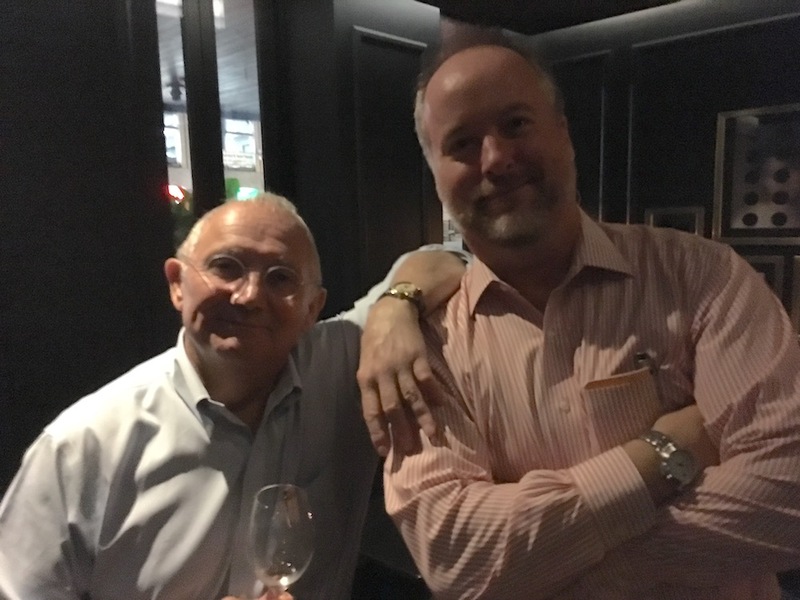 It was a late night, after dinner affair, and Trevor, Charles and I were conspicuously older than the crowd of young sommeliers who came to taste through a selection Boulevard Napoléon wines, as well as a few from Trevor and partner Chef Fergus Henderson’s house label, St. John. 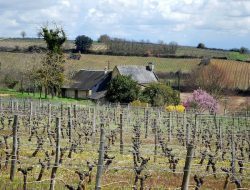 (The St. John white and red Burgundies, as well as their 100% Grenache rosé are also fantatic bargains at around $30for the two former, and $20 for the latter.) To repeat, it was the Grenache Noir that got me: he’s a perfectly balanced, eminently drinkable wine with a big dark cherry to black fruit punch that still manages complexity and finesse. A bit like Trevor and St. John, actually. Anyway, I will be ordering a case for Thanksgiving, as I can’t imagine a better pairing for both the bird and the gravy (it will go perfectly with both), and will be looking for it on the lists of better restaurants around town. 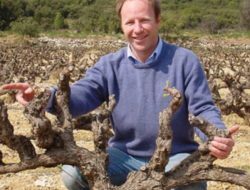 » Good Wine Revolution » Give me the Grenache!